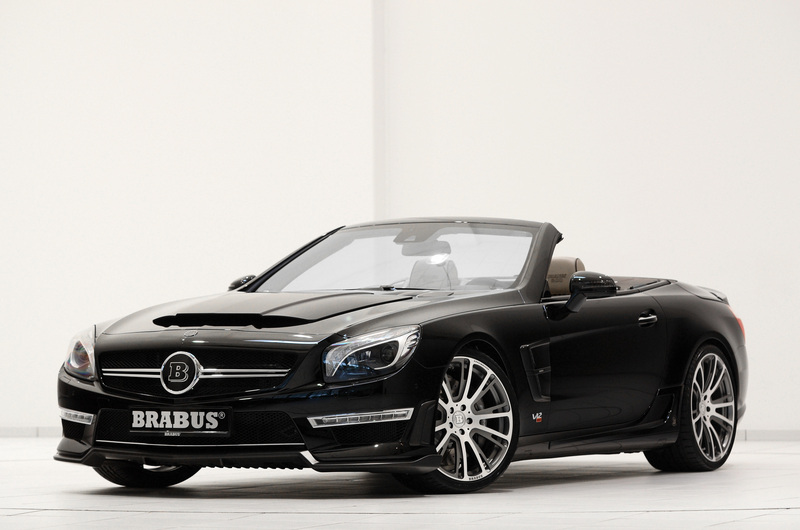 BRABUS 800 Roadster ‘ based on the Mercedes SL 65 AMG, BRABUS builds the world’s most powerful roadster. 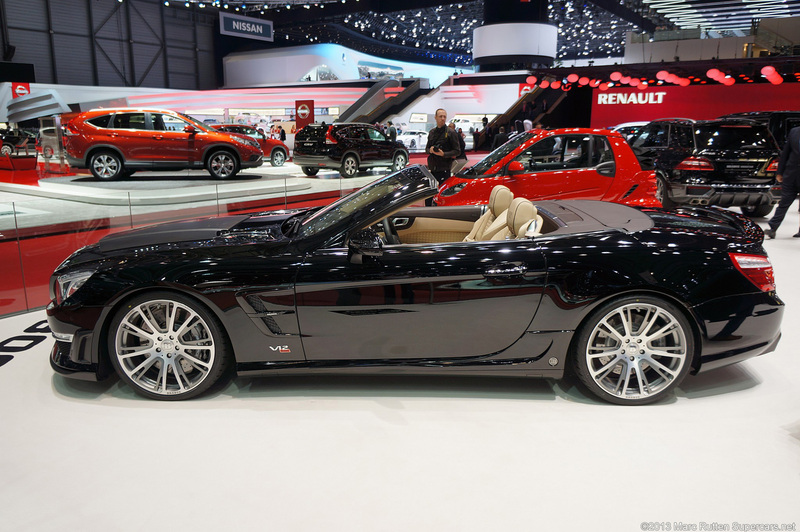 The two-seater is powered by a 12-cylinder Biturbo engine uprated by BRABUS T65 RS tuning. It produces 588 kW / 800 hp (788 bhp) of power and a peak torque of 1,420 Nm. A sprint time of 3.7 seconds from rest to 100 km/h (62 mph) and of 9.8 seconds to 200 km/h (124 mph) are impressive testaments to the car’s special status that is further bolstered by an electronically limited top speed of 350 km/h (217 mph). 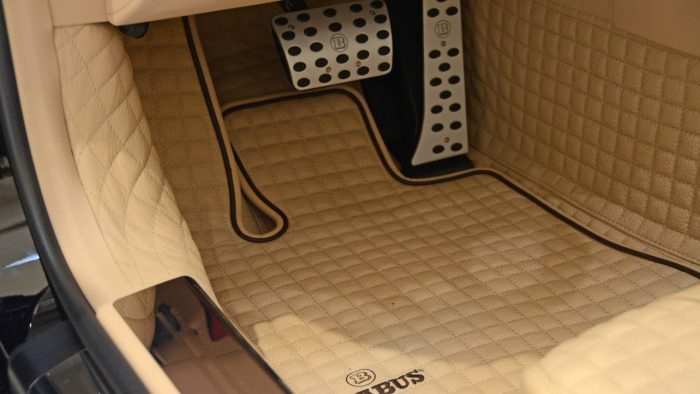 The exclusive equipment features also include BRABUS carbon-fiber bodywork components designed for maximum aerodynamic efficiency, custom-tailored BRABUS wheels with diameters up to 20 inches and exclusive options for the cockpit. 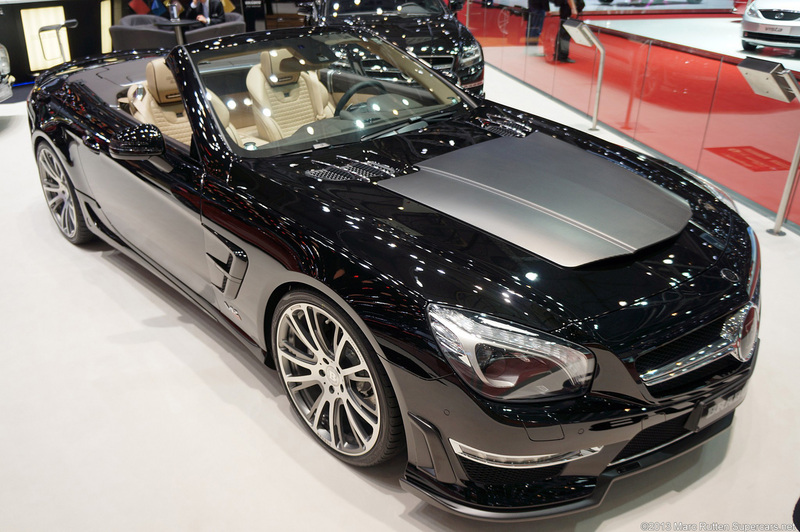 BRABUS T65 RS tuning unleashes the latent power reserves of the six-liter V12 engine. 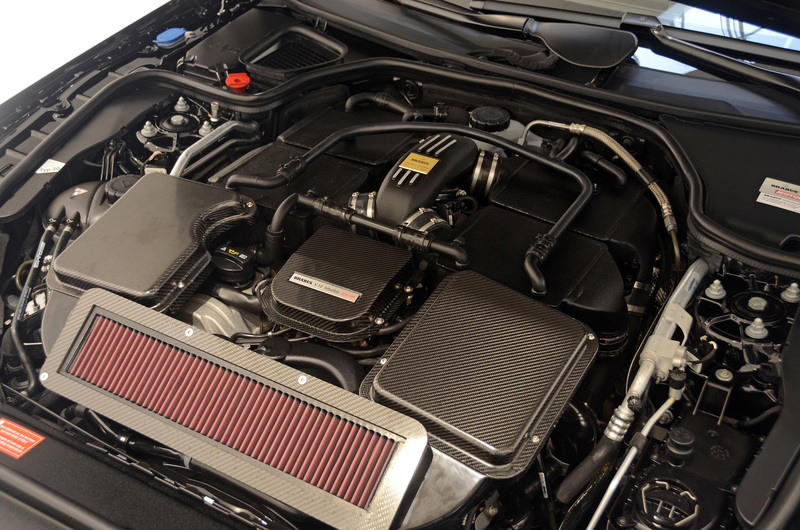 To this end, the BRABUS engine professionals have developed a BRABUS high-tech Biturbo system with custom high-performance manifolds that feature integrated turbine housings and high-performance turbochargers. 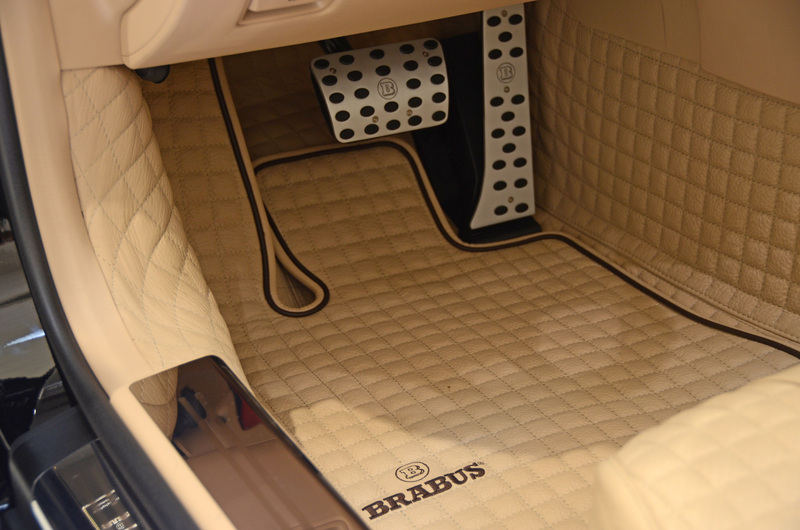 The tuning also includes four water-to-air intercoolers, housed in space provided by the BRABUS carbon-fiber hood scoop. 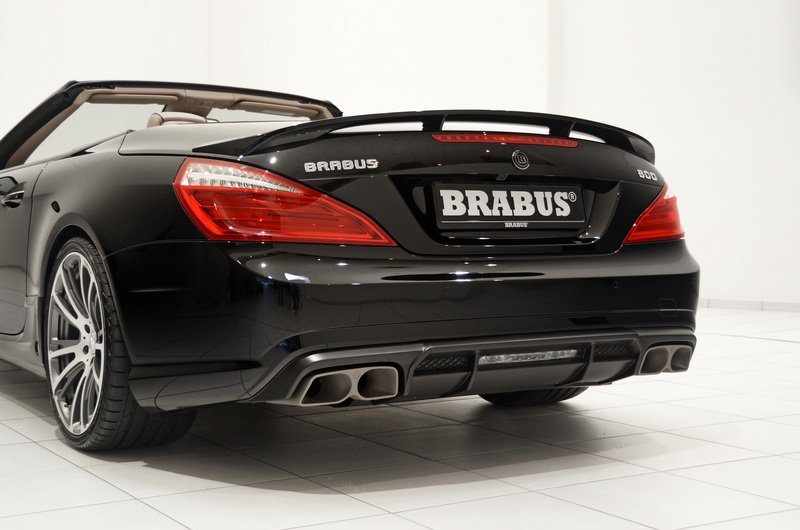 Another custom development for the SL 65 power upgrade is the special BRABUS stainless-steel high-performance exhaust system. 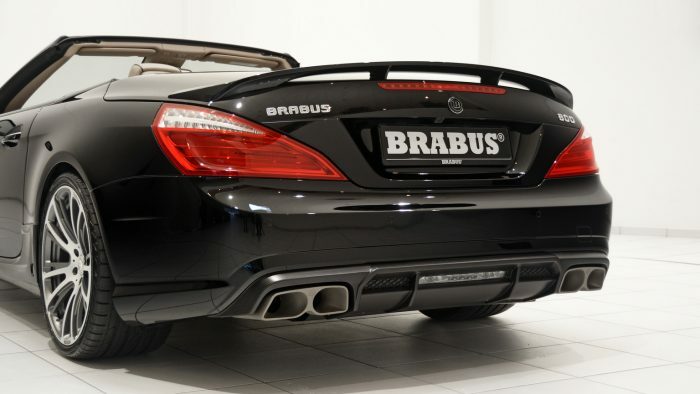 It features free-flow metal catalysts and ceramic-coated tailpipes with distinctive BRABUS design. An integrated butterfly valve in the exhaust provides an active sound management on the steering wheel: at the push of a button the driver can chose between a discrete ‘coming home’ and a markedly sporty exhaust note. The newly calibrated engine electronics complete with high-performance mapping for injection and ignition coordinate the perfect interaction of the high-end components while also ensuring compliance with EURO V emission standards. The high-tech lubricants for the entire powertrain are supplied by technology partner MOTUL. The BRABUS T65 RS engine produces 588 kW / 800 hp (788 bhp) of power at 5,500 rpm and an even more impressive peak torque of 1,420 Nm (1,047 lb-ft), available from a low 2,100 rpm. In the car, peak torque is limited electronically to 1,100 Nm (811 lb-ft). 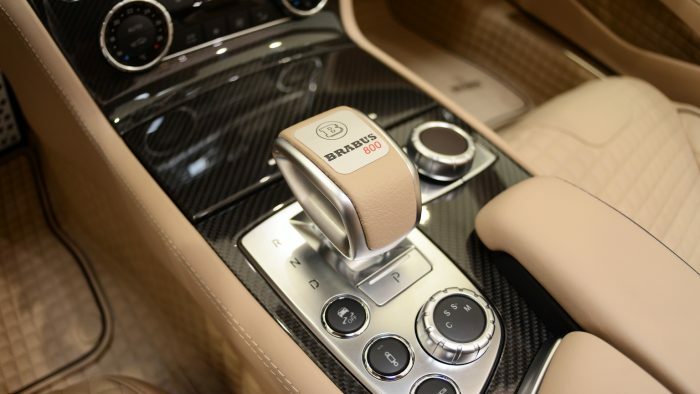 In conjunction with the AMG SPEEDSHIFT PLUS 7G-TRONIC transmission, whose gears can be shifted automatically or manually with the BRABUS aluminum shift paddles on the steering wheel, the BRABUS 800 Roadster rises to the become the most powerful of its kind. From rest the sports car weighing in at about two metric tons (2.2 tons) sprints to 100 km/h (62 mph) in just 3.7 seconds. The two-door car reaches a speed of 200 km/h (124 mph) after just 9.8 seconds. Top speed is limited electronically to 350 km/h (217 mph). 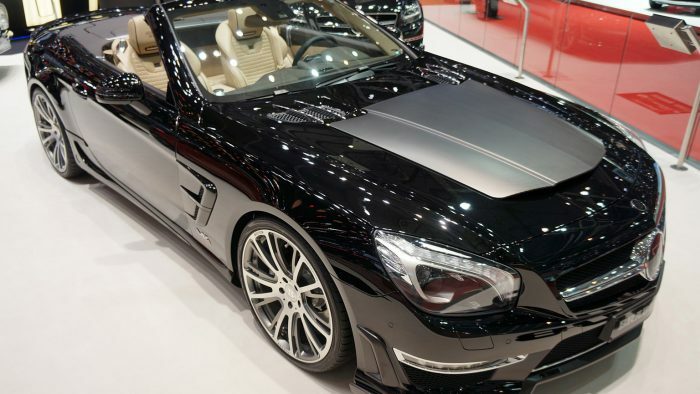 To master these enormous speeds at all times, a BRABUS aerodynamic-enhancement kit for the SL 65 was developed in the wind tunnel. 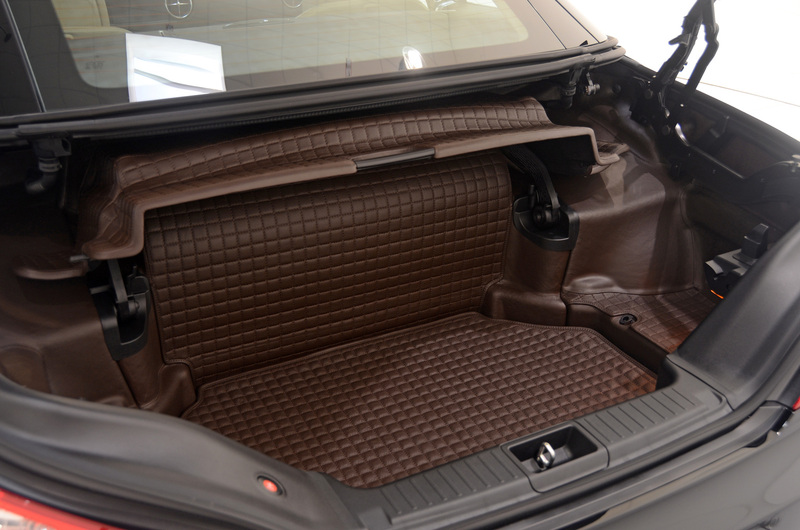 All components are manufactured from carbon fibers and are available either with a matt or high-gloss surface finish. It goes without saying; they can also be painted in the car’s exterior color. 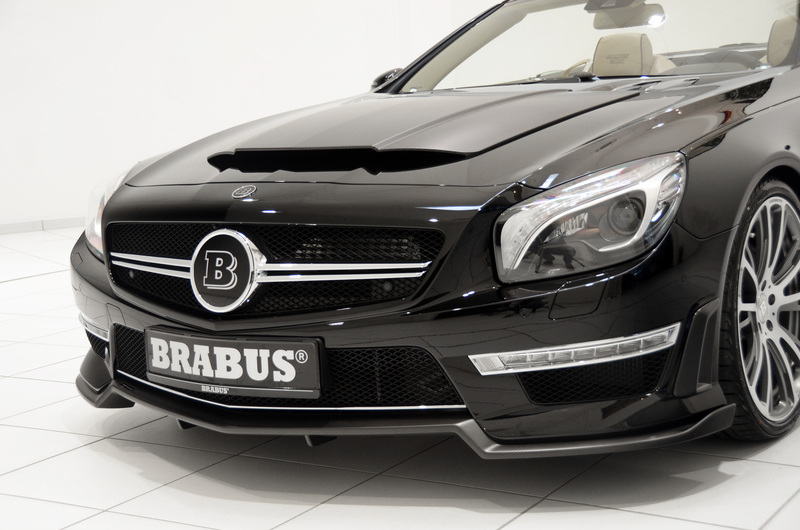 The BRABUS front spoiler attaches to the lower section of the bumper. 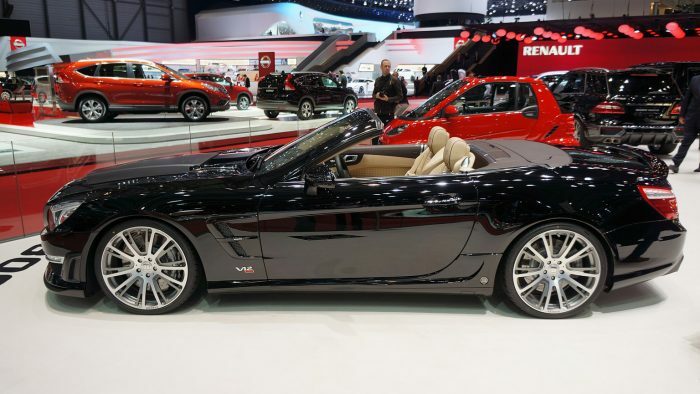 It lends the roadster a more sporty appearance and reduces lift on the front axle. 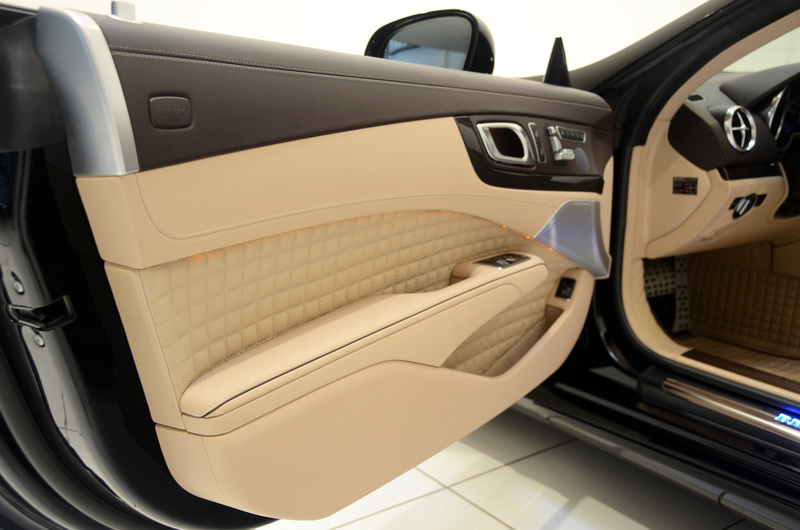 BRABUS covers for the side air vents round out the striking front for the SL 65 AMG. The sides are refined with custom-tailored attachments for the air vents integrated into the front fenders and with rocker panels. To achieve an optimal aerodynamic balance, the rear section is upgraded with a diffuser insert for the fascia. 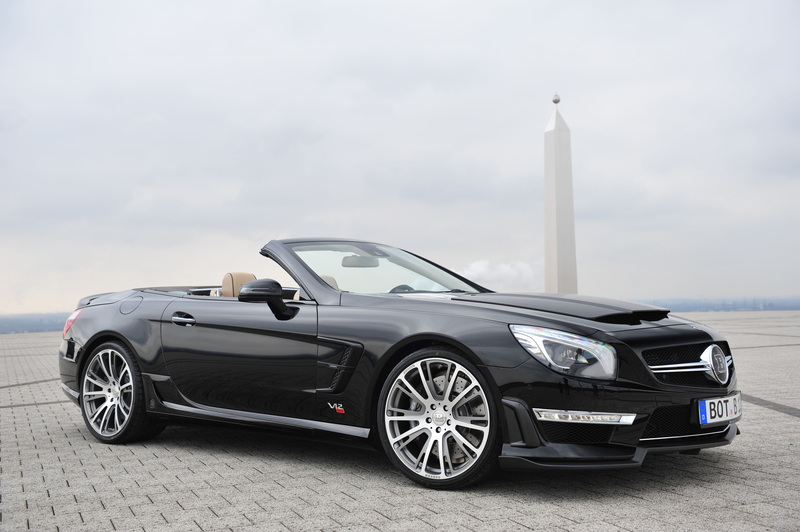 As an alternative to the 19-inch stock tires of the SL 65, the BRABUS suspension engineers have developed an exclusive 20-inch high-tech variant. 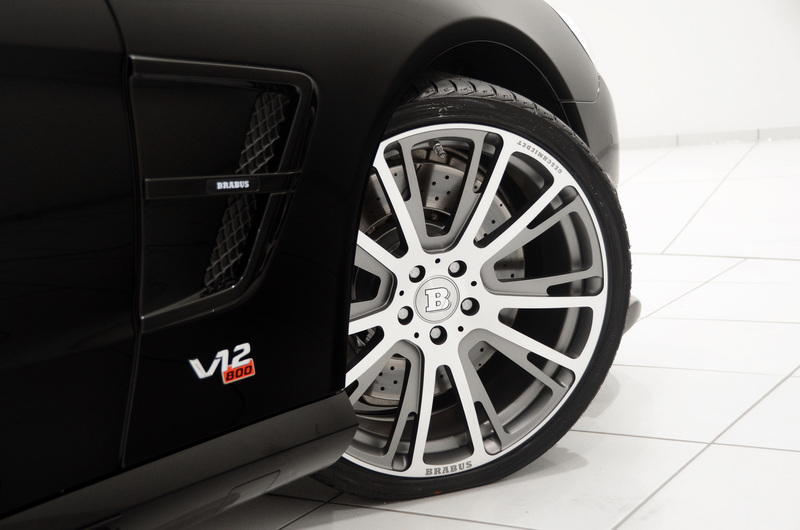 The new BRABUS Monoblock R ‘Platinum Edition’ forged wheel offers the perfect symbiosis of lightweight construction and maximum strength thanks to state-of-the-art manufacturing technology. In addition to the innovative construction, this wheel design also offers unique looks with ten double spokes arranged in two matt titanium and fully polished planes. The front axle is fitted with wheels in size 9Jx20 shod with size 255/30 ZR 20 tires. In the rear, tires in size 305/25 ZR 20 mounted on size 10.5Jx20 wheels transfer the BRABUS 800 Roadster’s power of 800 horses to the asphalt. 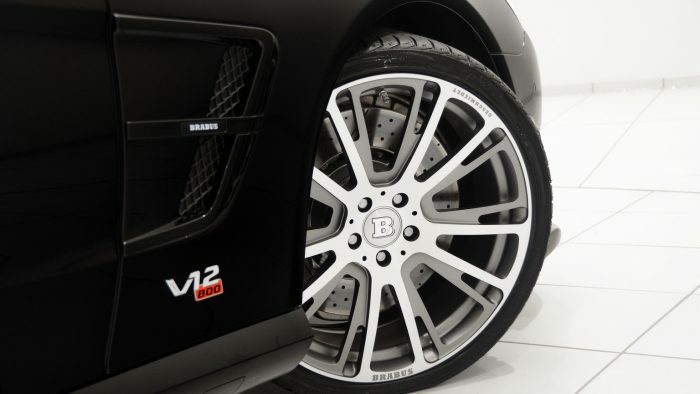 BRABUS recommends high-performance tires from Continental, Pirelli and YOKOHAMA. 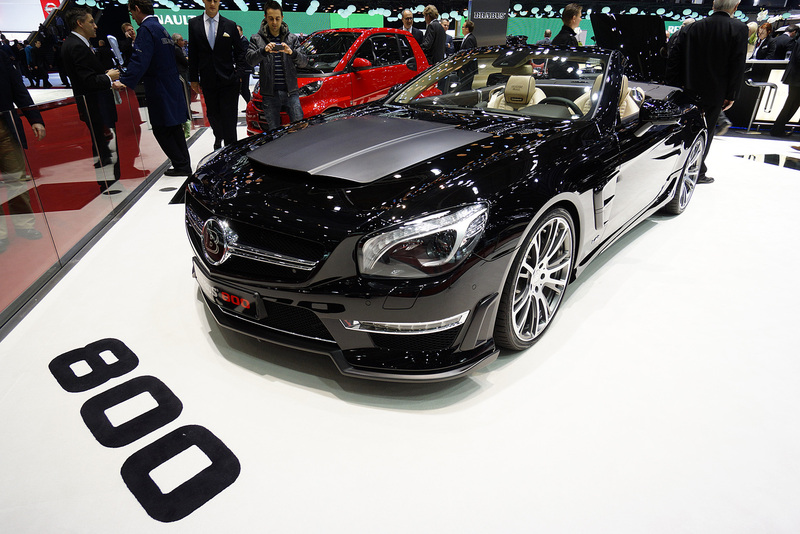 To give the two-seater even more agile handling, BRABUS developed a special control module for the ABC suspension of the SL 65 AMG. It lowers the ride height by about 25 millimeters (1.0 inches). The BRABUS limited-slip rear differential with a locking rate of 40 percent can enhance handling performance further still. 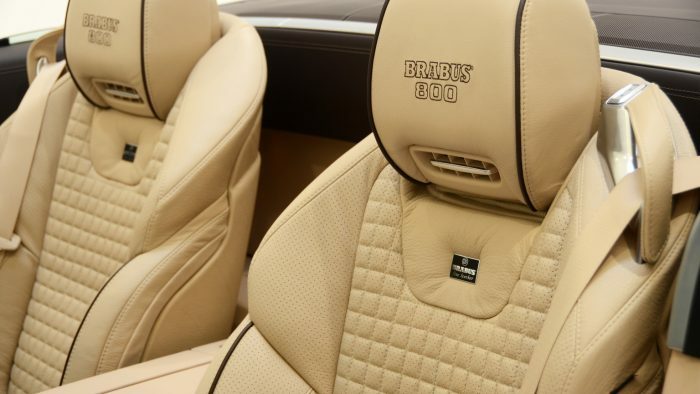 BRABUS adds even more luxury and custom features to the two-seat interior upon request as well. 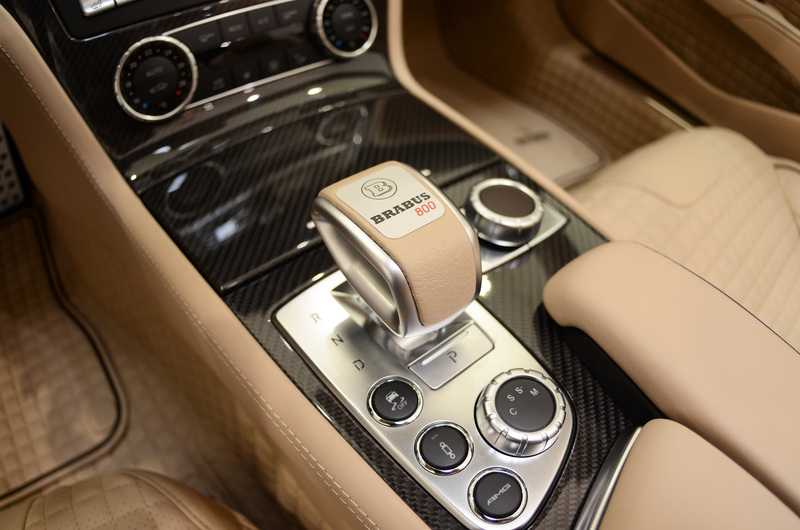 The product portfolio ranges from scuff plates with backlit BRABUS logo and a speedometer with 360-km/h dial (220 mph) to carbon-fiber and wood trim sets in any color imaginable and with a variety of surface finishes. 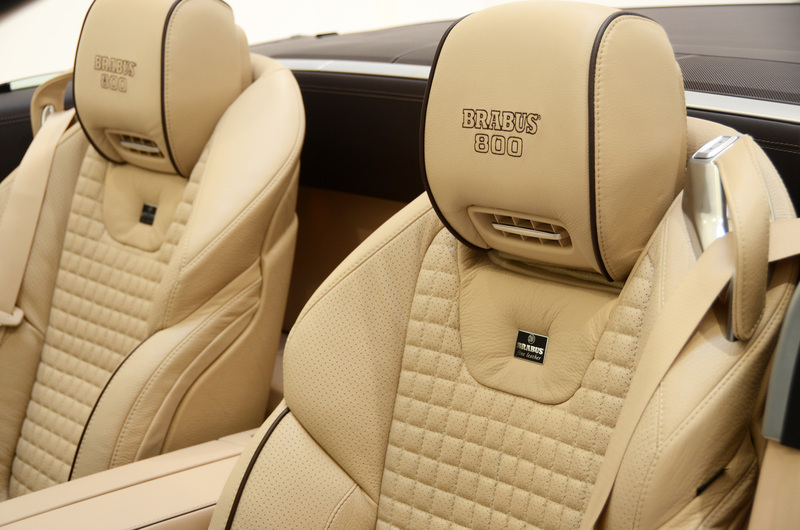 The company upholstery shop crafts exquisite BRABUS interiors from especially soft yet durable BRABUS Mastik leather and Alcantara. 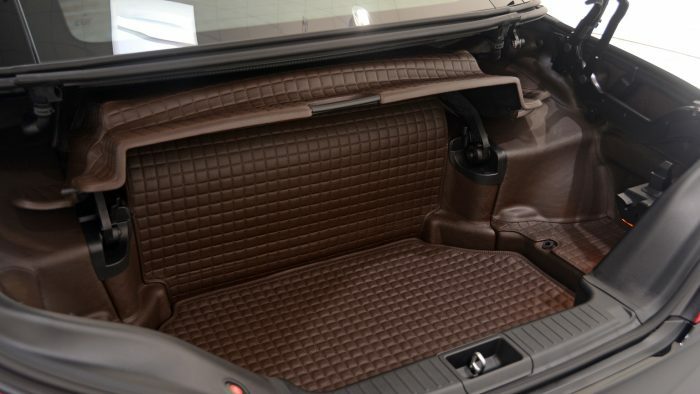 A prime example for the precision craftsmanship is the leather-clad trunk of the show car at the 2013 Geneva Motor Show that features meticulous and precise honeycomb stitching throughout.